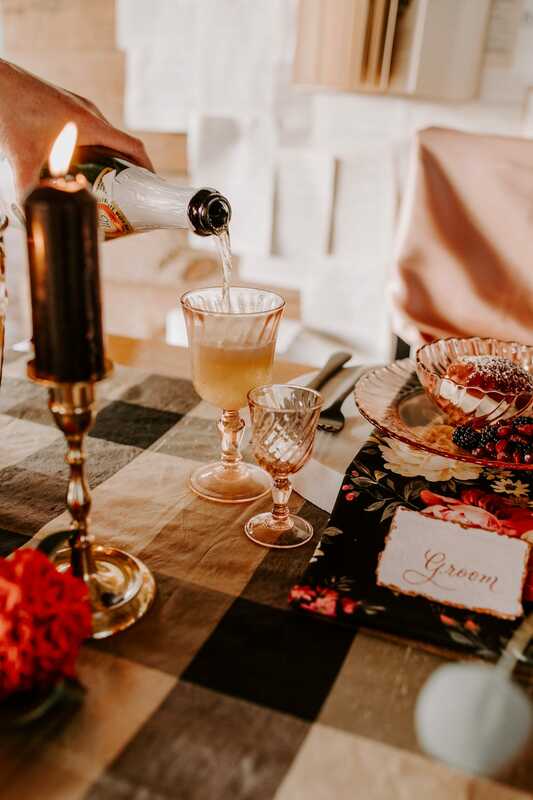 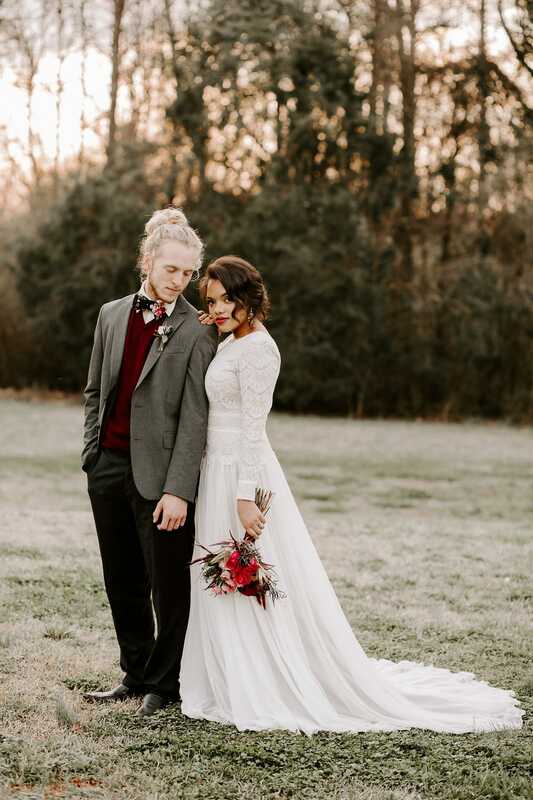 Today’s styled shoot is like Valentine’s Day and winter-fairytale-magic-land rolled up into one delectable package. 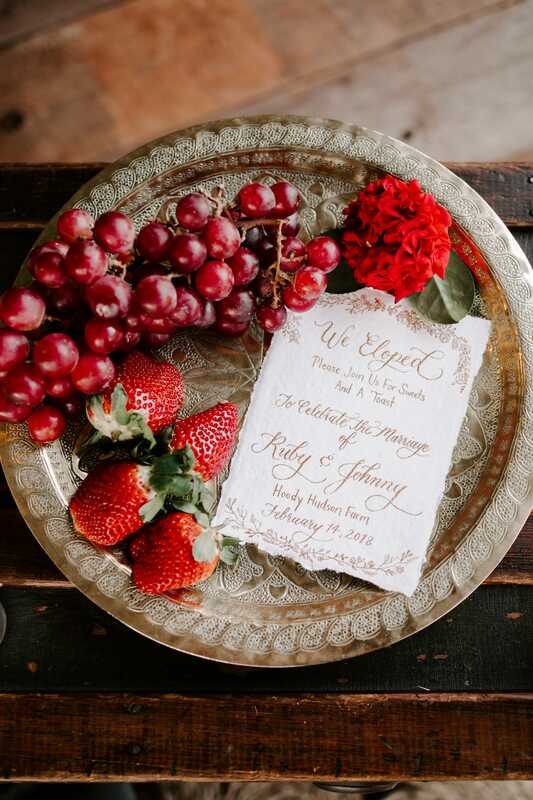 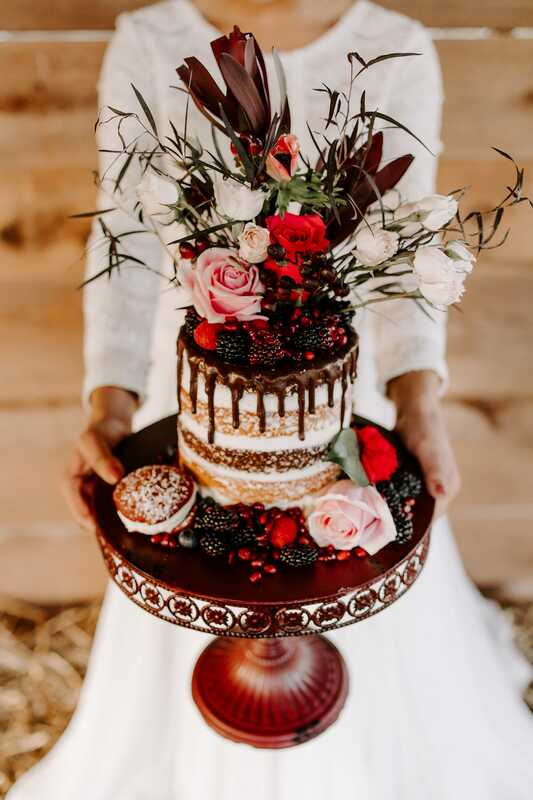 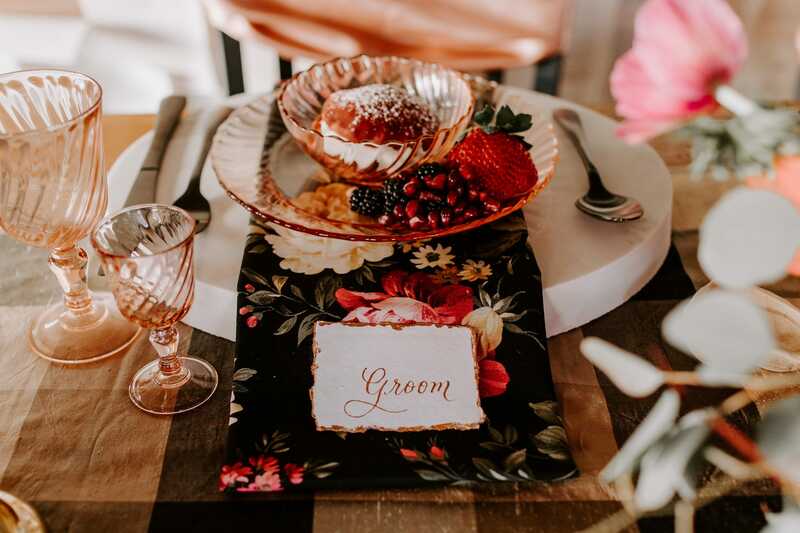 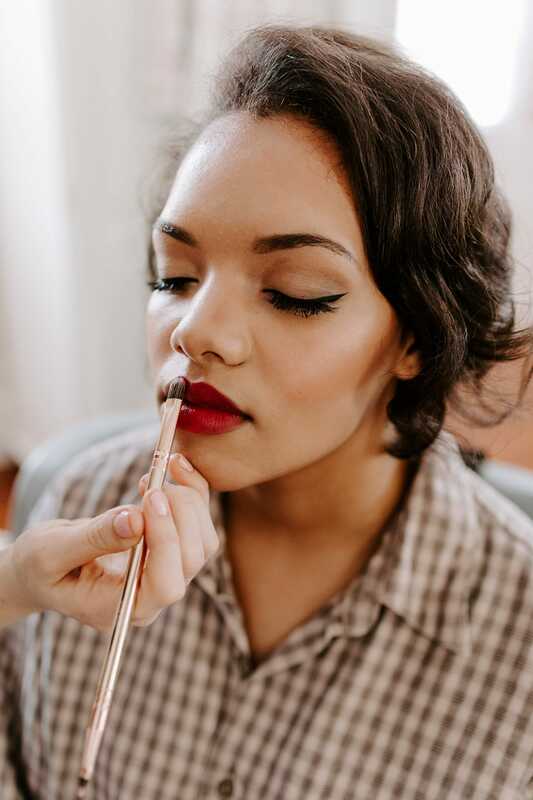 We especially love the contrast of earthy brown tones with poppy fuchsia—it makes everything feel rich and romantic while keeping the elegance of an outdoor wedding. 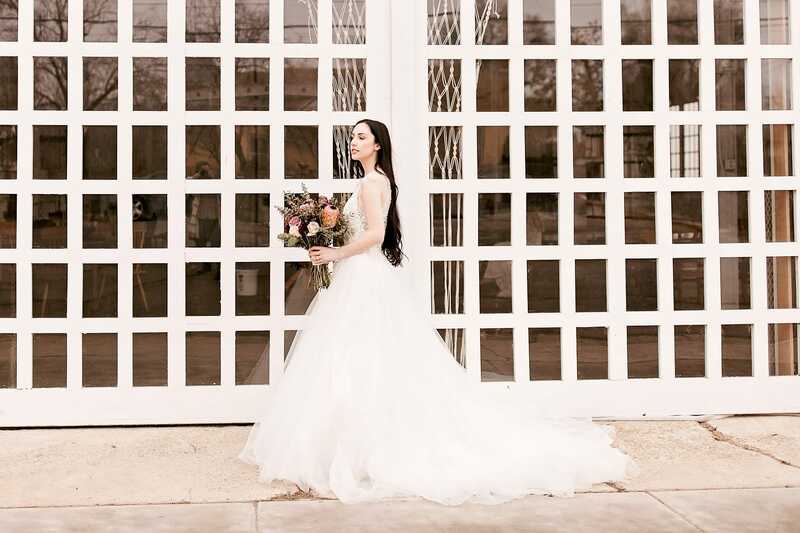 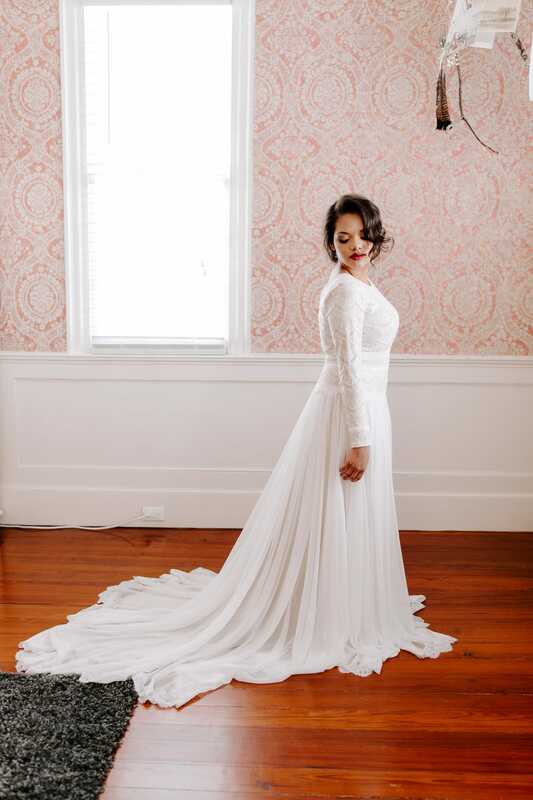 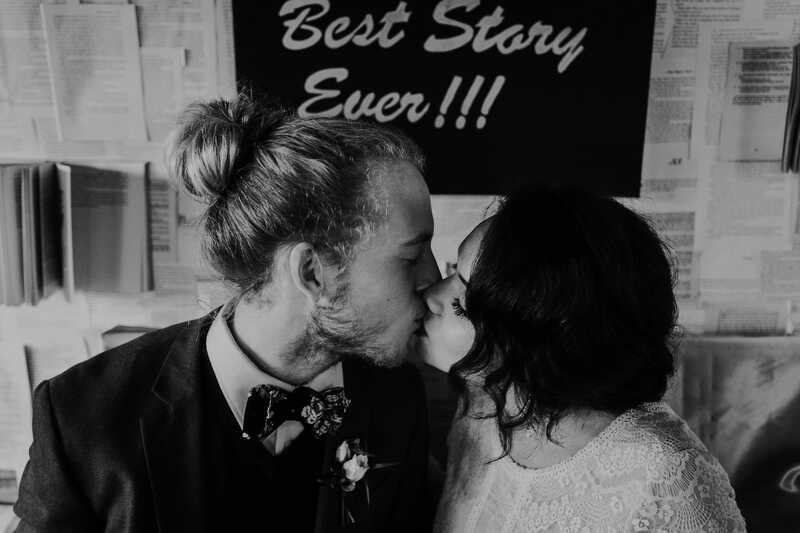 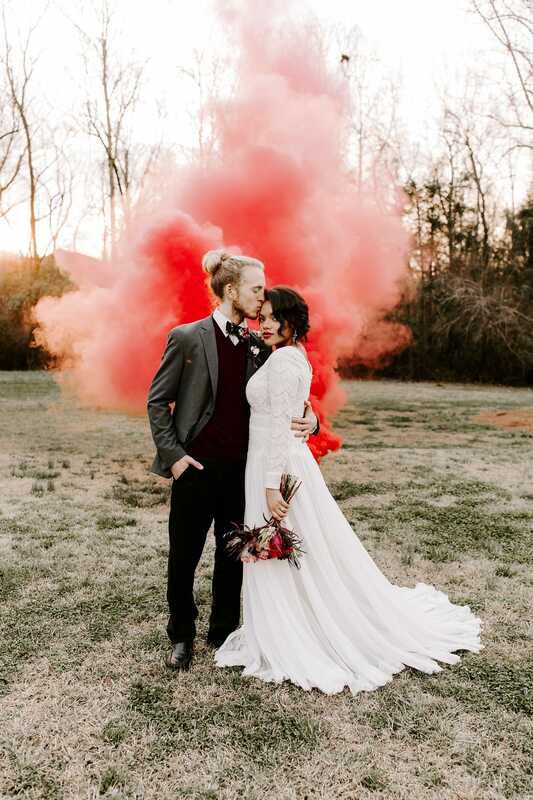 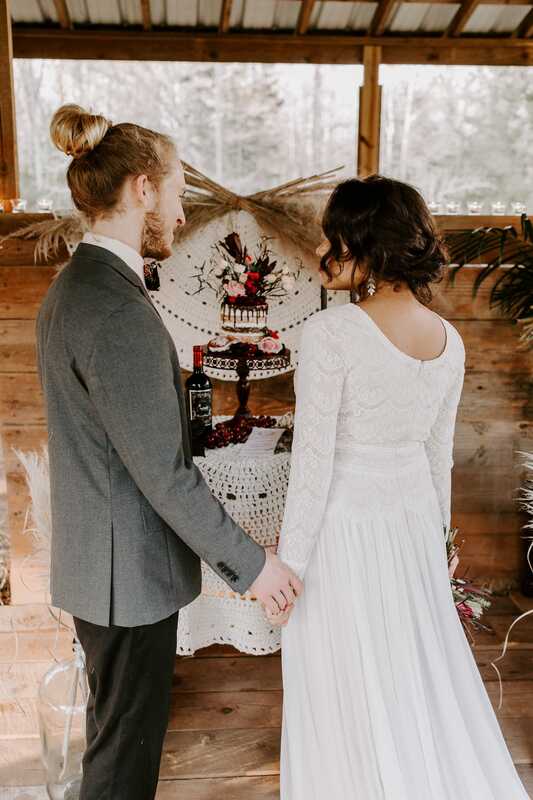 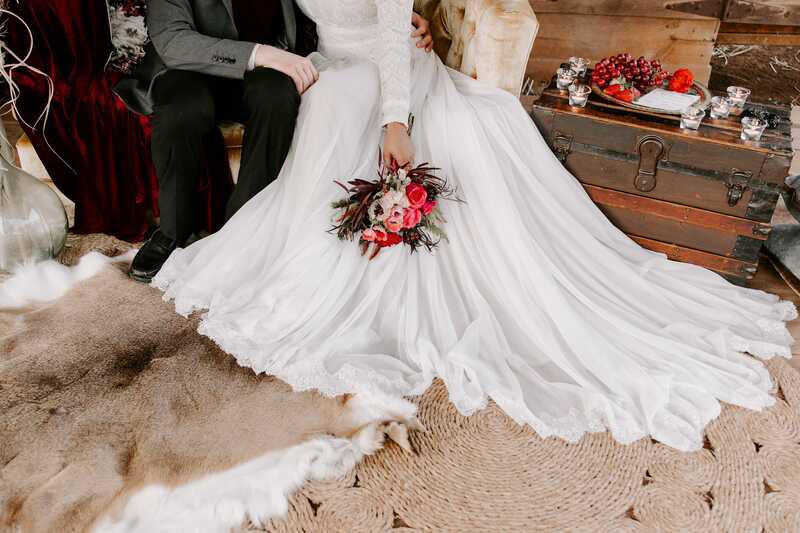 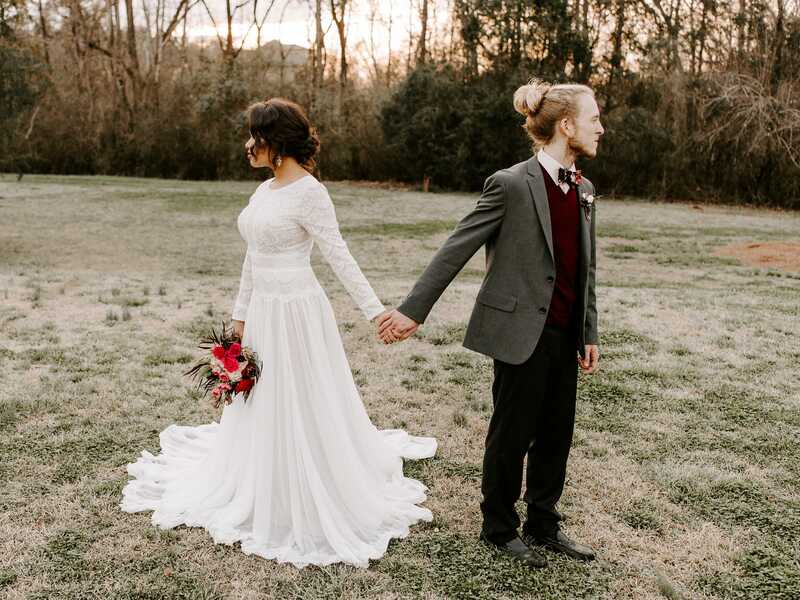 Brittany Martorella Photography chose sleeved boho wedding dress Deirdre Marie for the occasion, featuring delicate Chantilly lace and an elegant bateau neckline. 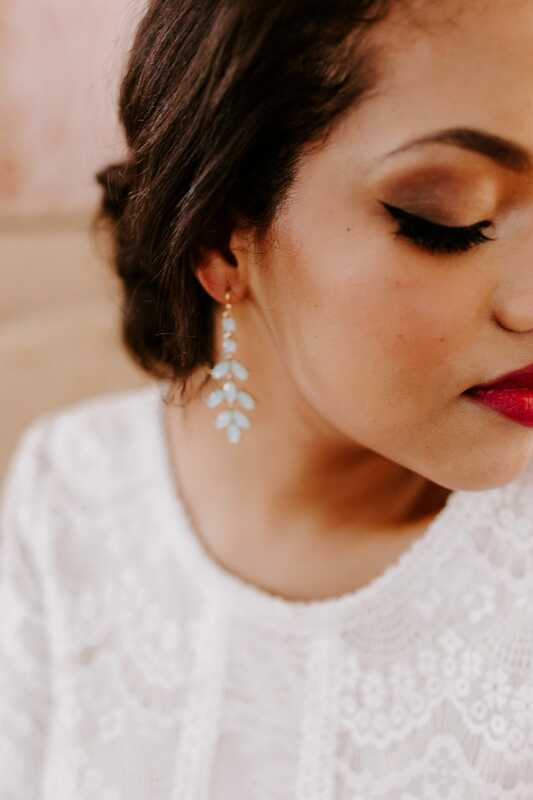 If you love this modest style, head to an Authorized Retailer to place your order! 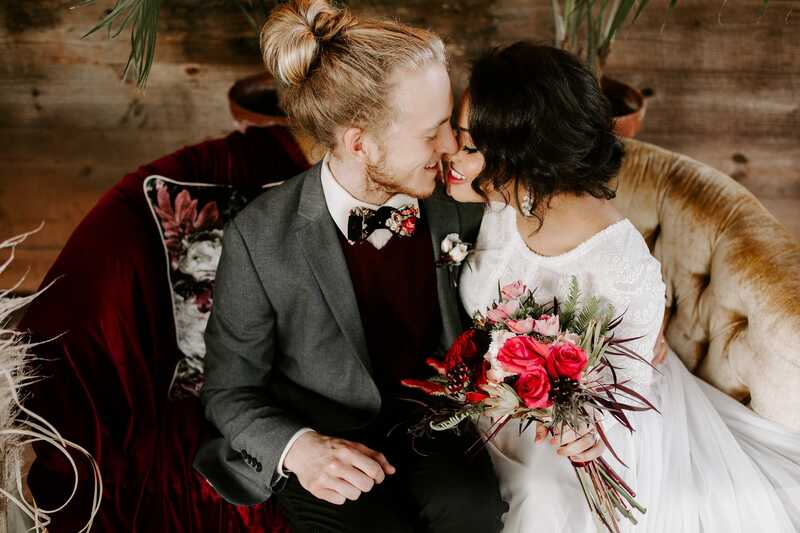 Planning to elope with your sweetheart for your big day? 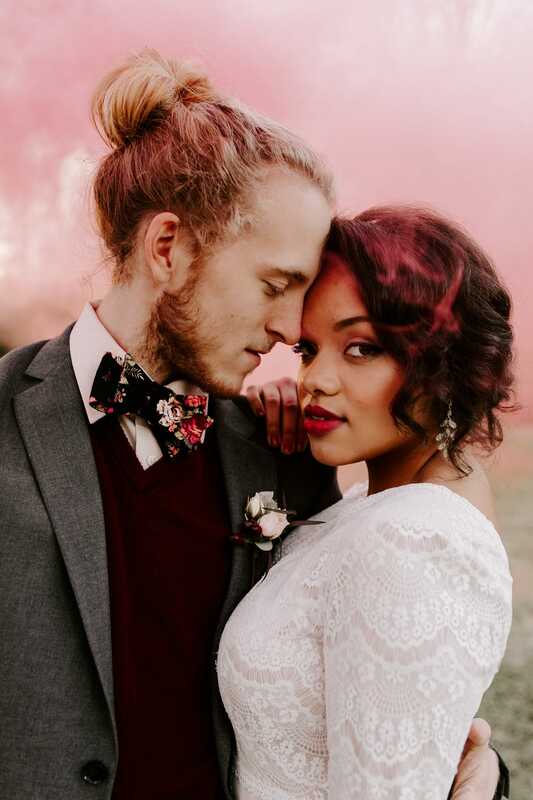 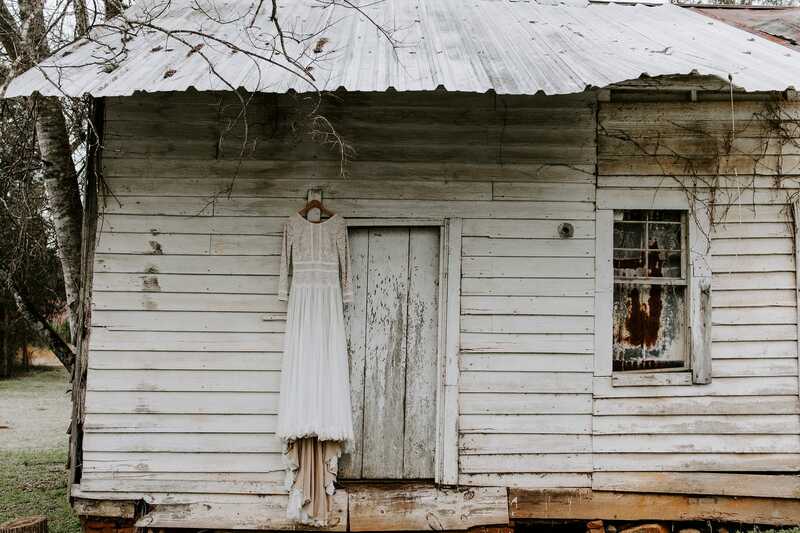 We’re huge fans of an intimate destination wedding (check out our 11 gowns for 11 elopements to get inspired), especially if it gives you the freedom to personalize… You get to curate goodies like pretty cocktails and pastries, handmade swag, and your favorite florals with a traditional wedding, of course, but a small-scale ceremony + reception gives you a lot more to play with as far as location, budget, décor, style, and photography.